Gianni Versace's dramatic and random murder over 20 years ago on the steps of his Miami home continues to capture public attention in continuous movie, TV and pop culture references.The Italian fashion impresario changed the face of high fashion and became a symbol of popular culture, dressing 90's icons like Diana, Princess of Wales, linking the music and fashion worlds in his association with Cher, Sting, and Elton John, as well as breaking new ground as openly gay, accompanied by his partner on the international party scene. The fashion house Gianni Versace founded became synonymous with opulent designs and vivid color, and the Greek mythological Medusa head symbol of Versace is unmistakable. Following his 1997 death, Gianni Versace's sister Donatella famously took over as the face and creative force behind Versace, so her brother's vision lives on for us to experience today. 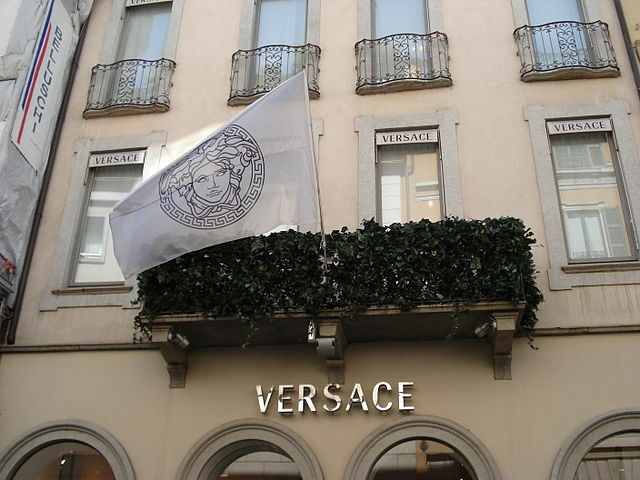 Of course you can make your way to the Versace flagship store in Milan, or other high-fashion global capitals. But Versace is not just about shopping. 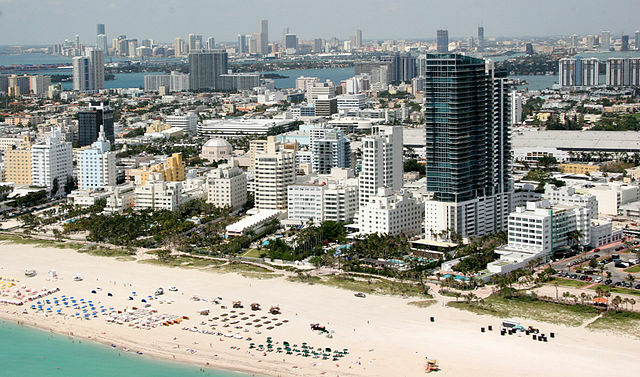 Here are 4 travel destinations where you can live the opulent Versace lifestyle. Gianni Versace was killed on the doorstep of his Miami residence: a Mediterranean Revival mansion surrounded by the Art Deco pastel buildings on Ocean Drive in the heart of South Beach. Before his death, Versace had added an entire new wing and a pool, restored the property, and undertook a redesign in true Versace style. 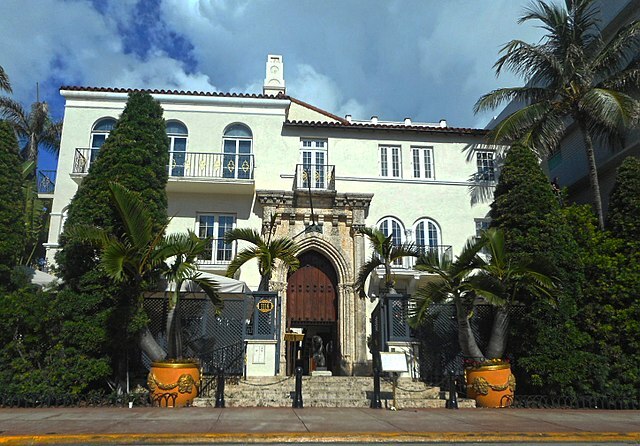 After his death, the Versace Mansion was sold, and today, it's a luxury boutique hotel. The name reflects its original identity when it was built in the 1930's – but guests at today's Villa Casa Casuarina discover many elements from Gianni Versace's restoration and redesign. It's a unique experience of the fashion figure's personal and private expression of style. If you stay at the Villa Casa Casuarina, you can swim in the Million Mosaic Pool that Versace had lined with thousands of 24 carat gold tiles. The villa's Mediterranean Revival style dovetailed with Versace's famous Greek mythology inspiration; the pool he designed features the Greek god of the sea, Poseidon. And of course, the fashion house's Medusa emblem also makes appearances. The new owners take their stewardship of Versace's vision seriously, securing a resident artist to maintain the mosaics and frescos Versace created for the villa. Versace's former dining room is now a celebrated restaurant 'Gianni's', and the rooftop views of the ocean on the across iconic Ocean Drive are the same the designer would have enjoyed during his stays. 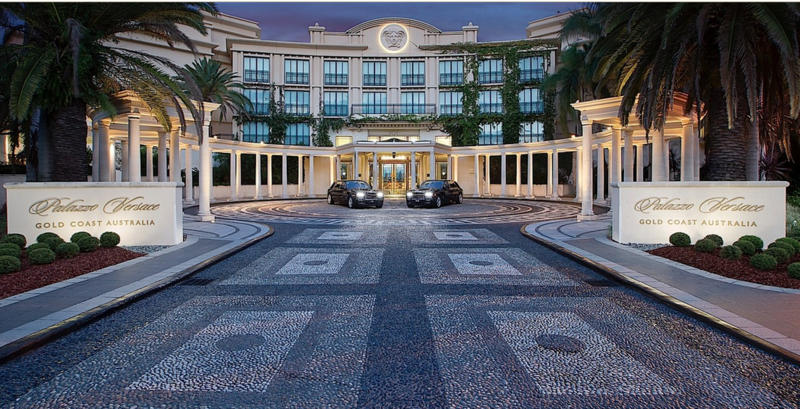 Gold Coast, Australia: Palazzo VersaceThere are two Versace branded hotels in the world, and a third on the way. The first Versace hotel is on Australia's beach holiday destination, the Gold Coast. Its founders call it the world's first fashion-inspired hotel. The concept was proposed in 1997 and was inspired by Gianni Versace's well-known love of architecture, plus the fact that Versace - alone at that time – was the only fashion house with a home collection that covered all hotel needs from dinnerware to linens to upholstery fabric. Of course, it also had an unmistakable aesthetic synonymous with over-the-top luxury. 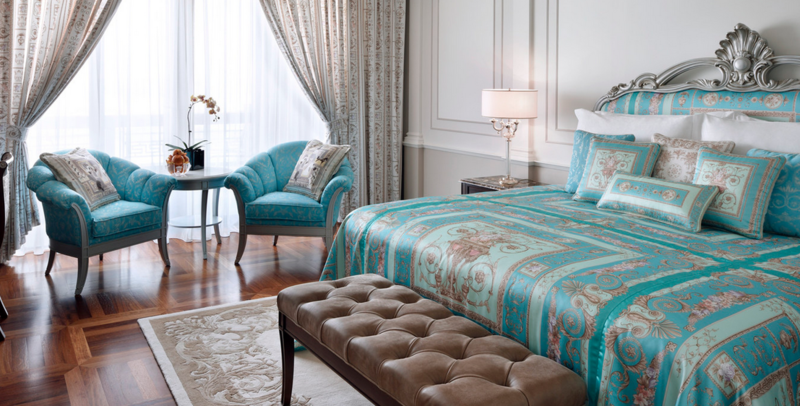 Since 2000, the Palazzo Versace has been a beacon of style and decadence on the Gold Coast. The architecture pays homage to Versace's fascination with ancient Greece: a postmodern building interpreting neoclassical architecture, on an exclusive waterfront setting. Inside, it's all Versace with bespoke furnishings, décor, ambiance, and Italian craftsmanship that respects the couture roots of the Versace brand. 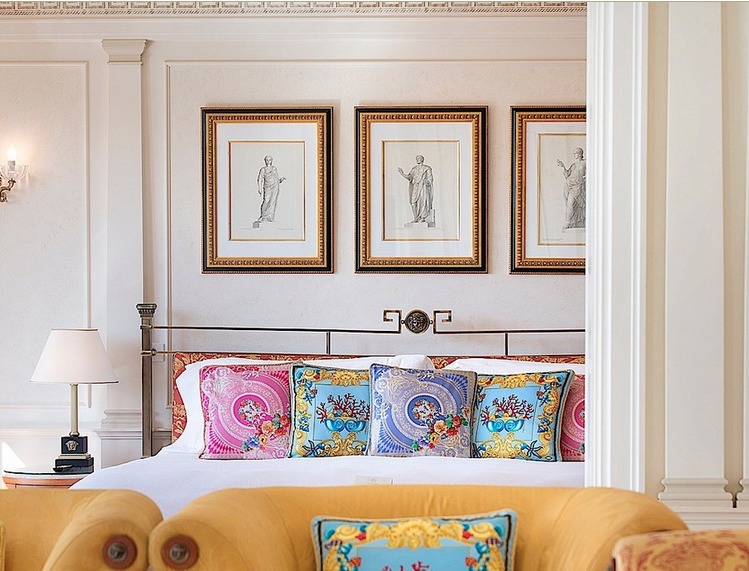 Award-winning restaurants, spa and wellness center, a private marina, the country's first water salon cabana lifestyle… and of course a Versace Boutique are all part of the Palazzo Versace experience. Dubai, United Arab Emirates: Palazzo VersaceDubai's epic extravagance mirrors the Versace opulence, so it's no wonder that the second Palazzo Versace was built in this extraordinary city. Neoclassical architecture meets elegant regional Arab influences in the building's design. 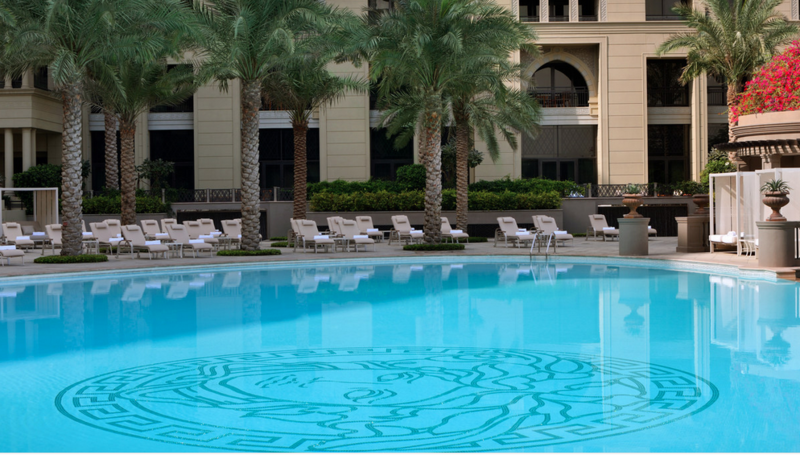 Three pools showcase elaborate mosaics, and landscaped gardens have glorious views of the surreal Dubai skyline. The iconic Versace Medusa head is a constant reminder of the fashion house's influence. Donatella Versace personally designed exclusive interior bespoke furniture, fabrics, wallpaper and décor items for the hotel, its 215 rooms and suites, and 8 restaurants and bars, each of which has an alfresco terrace, reflecting the classical, Mediterranean inspiration of the hotel, as does the internal courtyard. Versace design is even reflected in the kids' areas. Hand-crafted is almost an understatement: Nearly a dozen Italian artists were brought in to hand-paint designs on walls, and 1.5 million marble tiles were hand-laid to form the extraordinary lobby floor mosaic (top image). 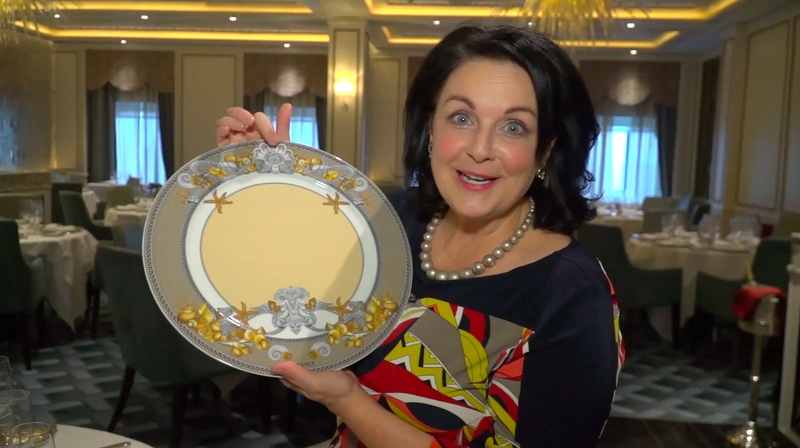 At Sea: Regent Seven Seas CruisesThe Regent Seven Seas Explorer has been called The Most Luxurious Ship at sea, and its designers also tapped into Versace's unmistakable iconic style for the ship's signature restaurant, Compass Rose. As you dine on European-inspired Continental cuisine in the elegant, glittering setting, you'll be dining from Versace porcelain. 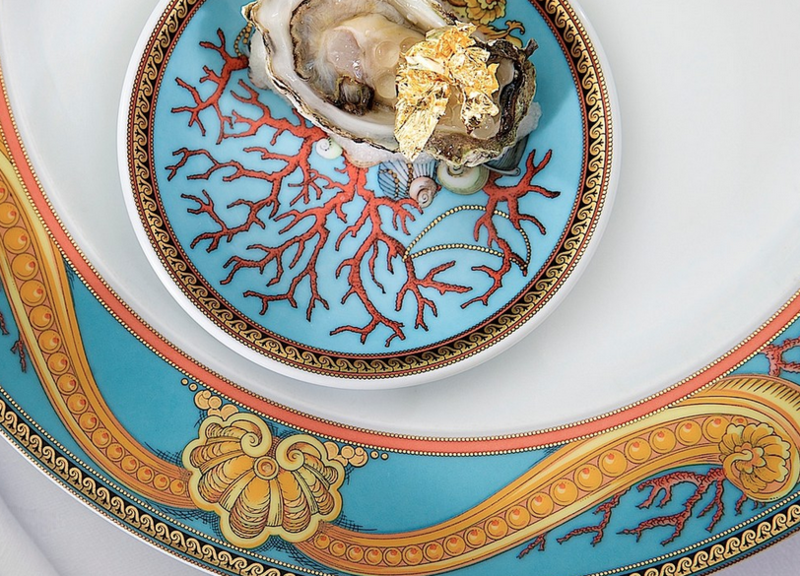 Four hundred specially-designed Versace place settings are featured in Compass Rose on the Explorer, with other ships in the fleet featuring different Versace dinnerware designs and their signature Medusa head symbol.